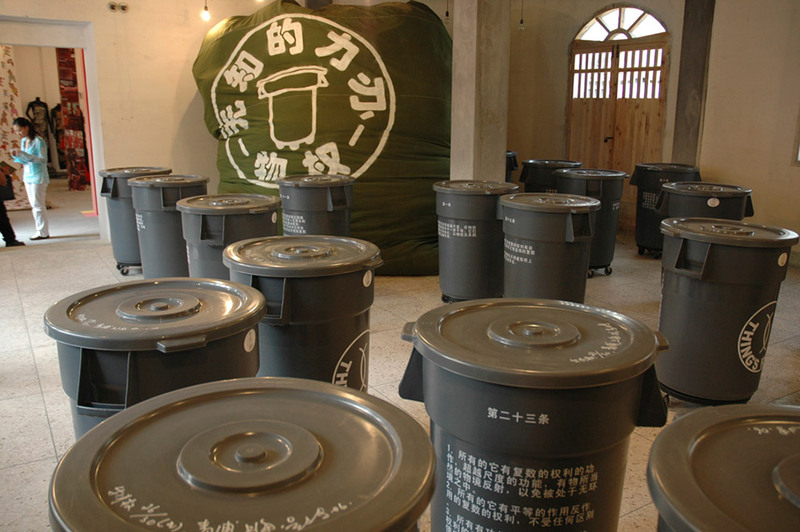 A room filled with grey industrial bins, at the centre is a large green beanbag/ cushion with the sign « Wuquan – Wuzhi de lichuang » printed on it. The sign trans- lates to « the right of objects – the power of ignorance ». 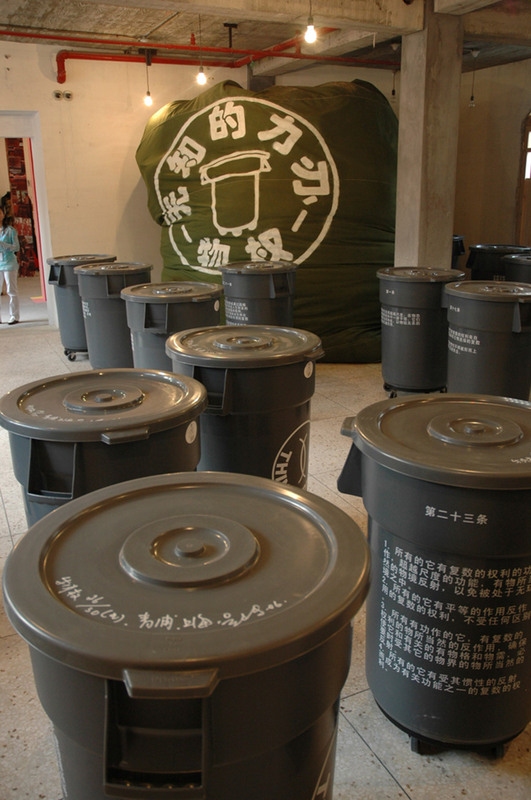 This installation is derived from a revised version of the United Na- tion’s Universal Declaration of Human Rights of 1948. In 1994 Wu and Inga Svala Thorsdottir redrafted their version of the Declaration to include rights for living and inanimate things, i.e. humans, animals, plants and in short, everything. 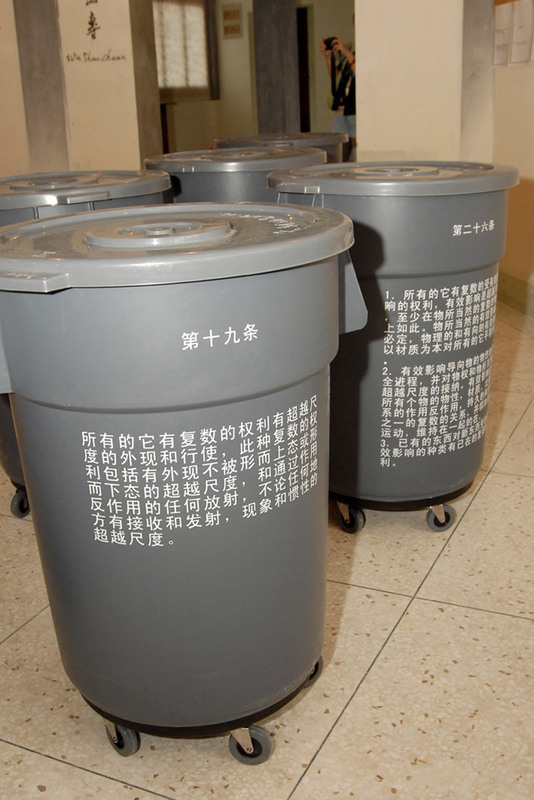 They then arranged for labels proclaiming « Thing’s Rights » in English and Chinese to be affixed to garbage bins, which can be readily adapted to different exhibition set- tings.